Artificial Lawyer recently caught up with Dr Jochen Brandhoff, the founding partner of Frankfurt law firm, Brandhoff Obermüller Partner. He is also an investor in legal tech companies, as well as the organiser of one of Germany’s main legal technology events, LEGAL EVOLUTION. 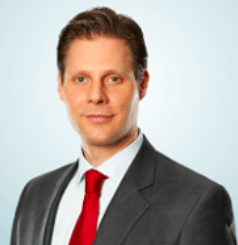 In this interview Brandhoff discusses efficiency in the legal world, the current position of legal tech and AI demand in Europe’s largest economy, and how legal tech adoption is rapidly evolving there. If you’d like to hear more about the German and wider European legal tech and AI scene, the LEGAL EVOLUTION event will be taking place in Frankfurt (pictured above), 23/24 October. First, could you please tell the readers a little about your journey into the world of legal tech? How did you move from a ‘regular lawyer’ to one focused on actual ‘legal tech’ advisory work? I also considered how I could make my legal department more efficient. I had our in-house attorneys, for example, begin to communicate and collaborate with one another using a simple but effective communication tool I found on the Internet. Later, when I founded my own commercial law firm, I tried to do things a bit differently from the very outset. I started to be approached by more and more lawyers from law firms and companies to speak to them about efficiency increases and lowering the costs of their legal work. For example, I currently advise one of the largest European fashion companies regarding a comprehensive program to restructure their legal operation, which will make it more efficient, reduce its costs by around 30% and additionally improve its ability to manage risk. What is the current state of legal tech in Germany? What kinds of tech are law firms, and also clients, making use of most these days? Until 2014, or perhaps 2015, the demand for advanced IT solutions was not particularly strong. Many law offices and legal departments used conventional firm management software (or department management software), if they used any at all. In addition, some mostly larger law firms and legal departments were using basic knowledge management systems. Today, about three years later, the situation is different. Lawyers and attorneys demand innovative solutions – particularly for contract management, for workflows and for collaborative work on projects. In addition, modern law practices and heads of legal are increasingly beginning to use programs that automate the contracting processes. And they are gradually starting to experiment with (AI) document analysis, that is no longer limited to E-Discovery. Instead, it has been extended to the analysis of standard contracts and the performance of due diligence, to take one example. The readiness of legal departments, law firms, compliance departments and even notaries to embrace IT-solutions, software and programming for the sake of increased work-efficiency and reduced costs, is vigorously increasing. If there are barriers to adopting more advanced legal tech in Germany, e.g. AI systems, why is this? Are there any structural or market reasons that are preventing this? Yes, there are a few barriers. One of the largest is a lack of capital. The legal market is still new to financial investors. Venture capital and private equity companies as well as many ‘business angels’ often do not understand the digital business models in the legal market. There are many reasons for this. One reason is that the legal market is somewhat different from the ones they are familiar with. It is highly regulated, which investors often dislike. Another reason is that they have difficulties in judging the size of the market and the scalability of a business model. With so little capital, it is difficult to have truly great innovations. But you can still fill important niches. Why is the legal market so new to investors? Here we come to the second barrier. Investors are not allowed to invest in law firms. Law firms in Germany are subject to prohibitions on ‘third party’ ownership or capital participation, unlike law firms in the UK after the passage of Legal Services Act of 2007. This means, simply put, that law firms can only be owned by lawyers (and, to some extent, by tax advisors and accountants) – but under no circumstances can a purely financial investor take part in the law firm. Law firms thus invest only a (tiny) portion of their profits into technology development. I don’t want to make a value-judgment on whether these two prohibitions produce more advantages or disadvantages for the legal market. I will simply say that they are too poorly funded to be able to produce a great leap in technology. 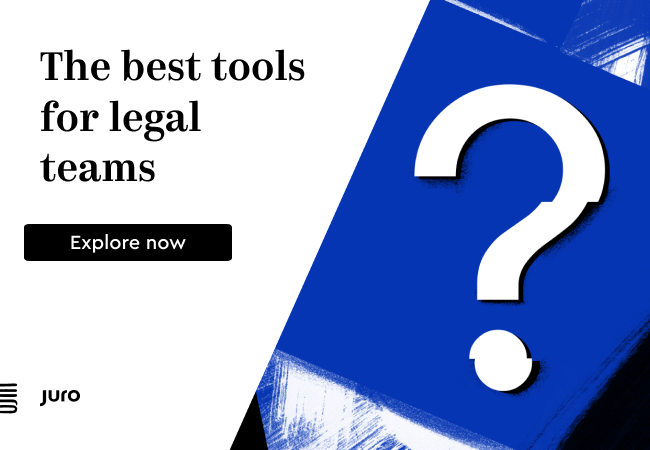 Added to this – and this is not exclusive to the German legal market – is the fact that the decision structures in many law firms and companies today are not particularly efficient or effective at financing IT or digitisation projects. There are also competency issues: lawyers the world over are not exactly well known for being experts in the IT-field or for their willingness to take advice from non-lawyers, such as businesspeople, finance experts and IT consultants. Another issue is that for the most part viable change management processes do not exist in this field, so implementing new strategies is difficult. In the business world, there are, for example, common approaches such as Continual Improvement Processes (CIP), but these are only familiar to a few lawyers. In terms of legal AI applications, what legal AI companies do you see there and what impact are they having? Currently the best AI applications come from companies outside the legal technology sector or from legal tech providers from outside of Germany. However, German lawyers are happy to purchase solutions from abroad – all the more, of course, if they are provided with a German user interface and support hotline. The more prevalent big data becomes, the more often AI systems will be implemented – and no longer just in large antitrust proceedings and lawsuits, but also increasingly for contract analysis in fields where a large number of very similar contracts appear – for example in the administration of large leasing portfolios or in the performance of due diligence in a merger. You mentioned that you are an investor in three different legal tech companies in Germany. What is the legal tech start-up scene like there? And where do you see the greatest number of these start-ups, is it Berlin, or all over the country? The legal tech scene in Germany is very active and attractive and benefits from the large German legal market among other things. 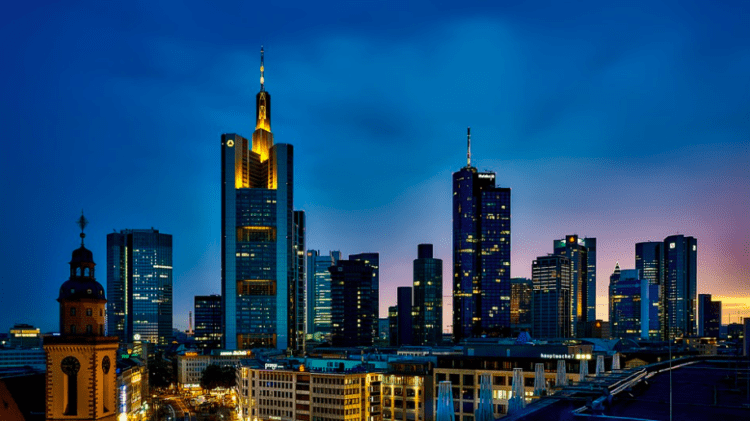 The centres are Frankfurt am Main along with its neighbouring cities, Berlin and Munich. But there are also a number of great legal tech startups in many other cities. The three legal tech companies in which I am involved are based in smaller towns. advocado, the platform that provides clients with a free initial assessment of their legal questions and thereafter legal advice at a flat-rate, is located in Greifswald in the northeast of Germany. The other two are based in Bremen. In northwest Germany. These are Rightmart, the developer of a highly successful workflow management system for the review of regulatory decisions such as Hartz4-decisions and edicted., the innovative legal cooperation platform for lawyers in which the legal publishing group C.H. Beck has invested. Finally, it’s great to see that you have started your own legal tech expo and conference in Germany. What are your hopes for this event? My long-standing professional experience in legal departments, law firms, and legal tech companies means that we understand the perspectives of each party. LEGAL EVOLUTION thus is able to bring all of their interests into sharp focus at a single event, for mutual benefit. We are also independent and free from the special interests of any association, industry or corporation. In this way, we can freely present a cross-section of the most advanced concepts and best practices for the legal market. Thank you and good luck with the event!